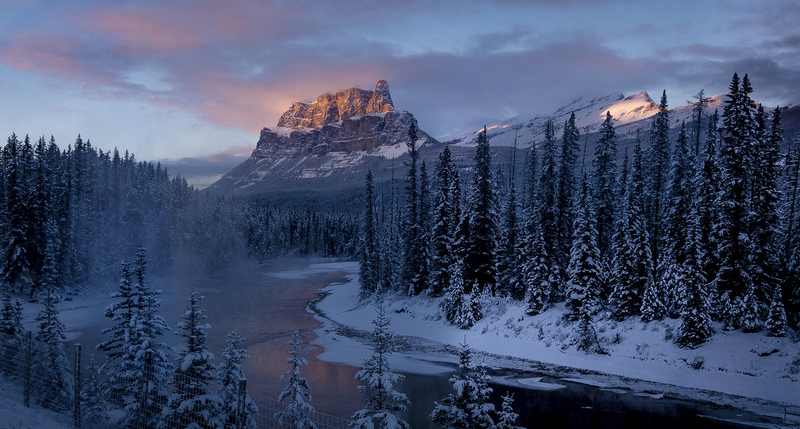 Castle Mountain is an iconic mountain in the Canadian Rockies and visible from both Highway 1 and 1A. Fly to Calgary, Alberta (CYYC), rent a car, and drive 1.5 to 2 hours west into Banff. Lots of places for camping or hotels.